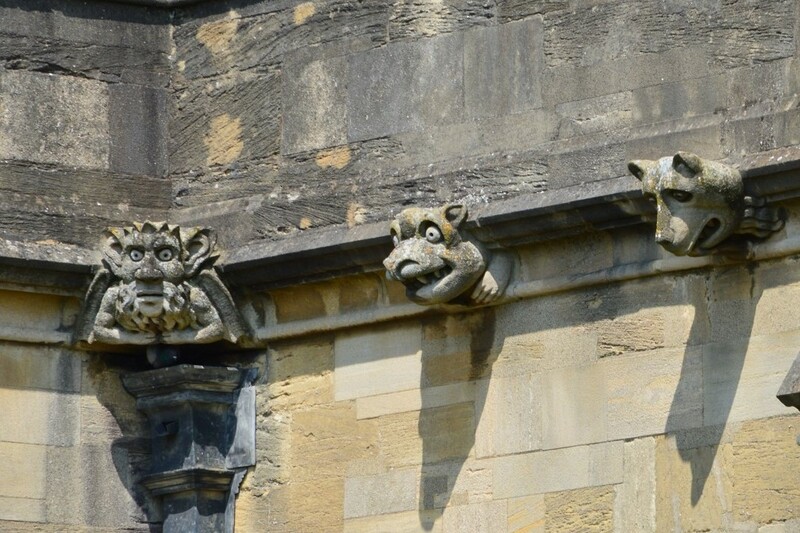 New College has one of the largest sites in central Oxford, but part of its charm is that it is essentially hidden. 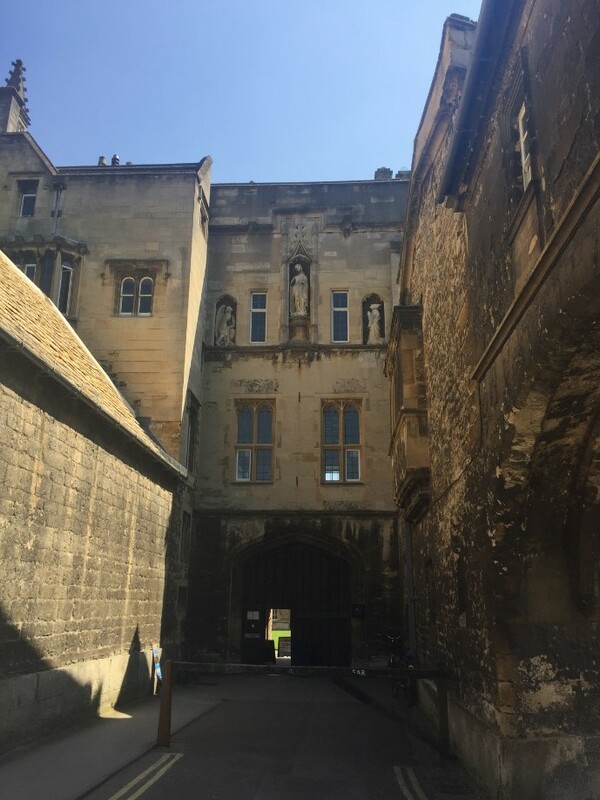 Our Founder, William of Wykeham, assembled a whole series of parcels of land within the medieval city wall, but from the outside the College is difficult to penetrate. The original entrance was in New College Lane. 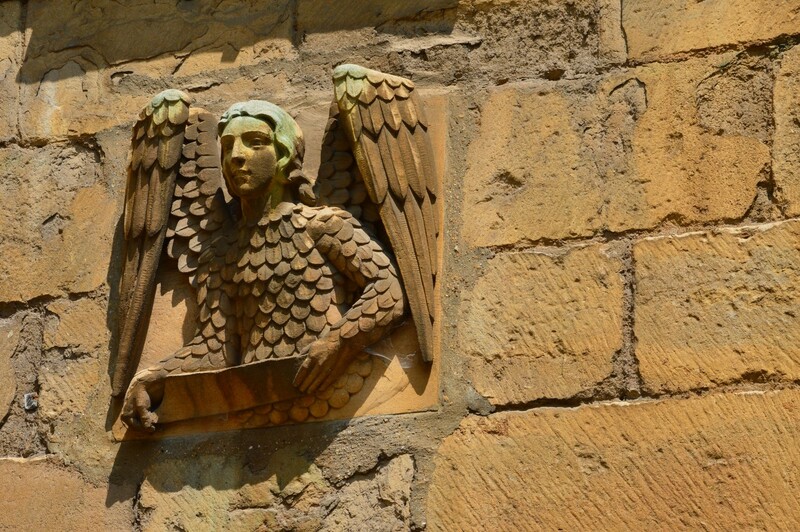 This gatehouse carries the statues of the Founder, together with the Virgin Mary, to whom the College is dedicated, and the Archangel Gabriel. Above are the Warden's Lodgings, still today in their original position. Wykeham was a prolific and passionate builder. 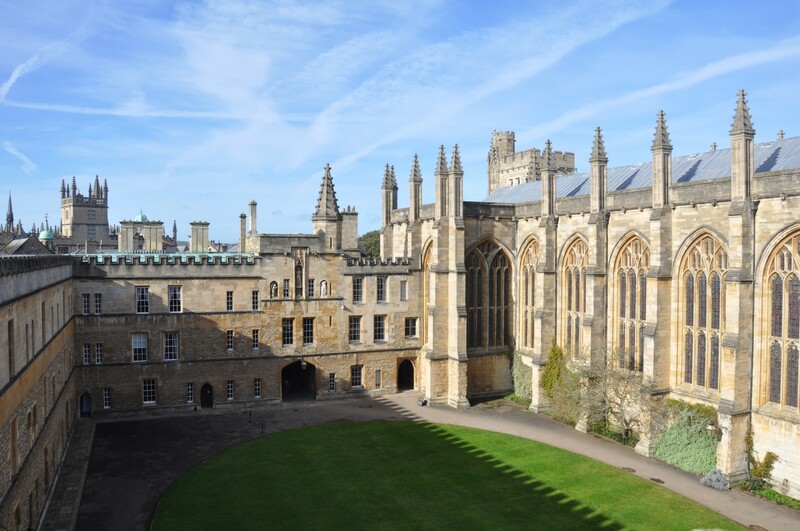 His vision for the College was of an integrated complex: Chapel, Hall, Muniment Tower, Library and a range for tutors and students to live and work in, all built around a quadrangle. This was the first time a college had been set in this way, and it became a model for colleges in the future and around the world. 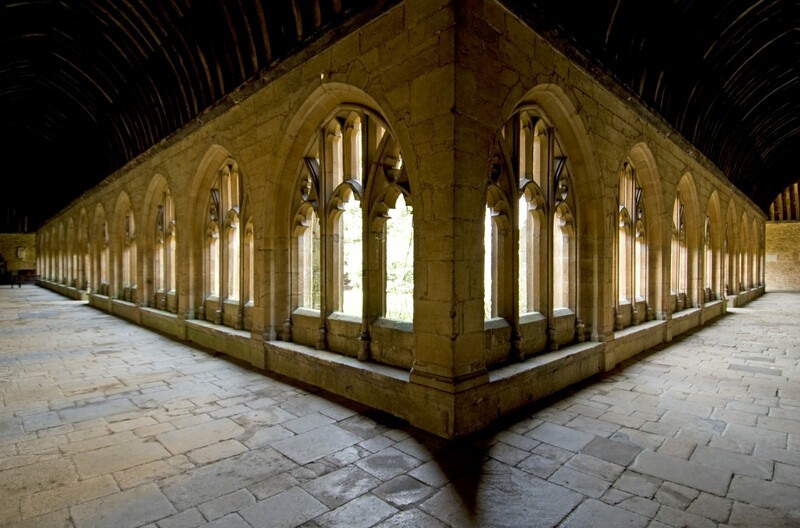 The Cloisters are a special haven of peace, and abut the Chapel to the East. They are famous now for a holm oak which featured in Harry Potter and the Goblet of Fire, where Draco Malfoy is turned into a white ferret. 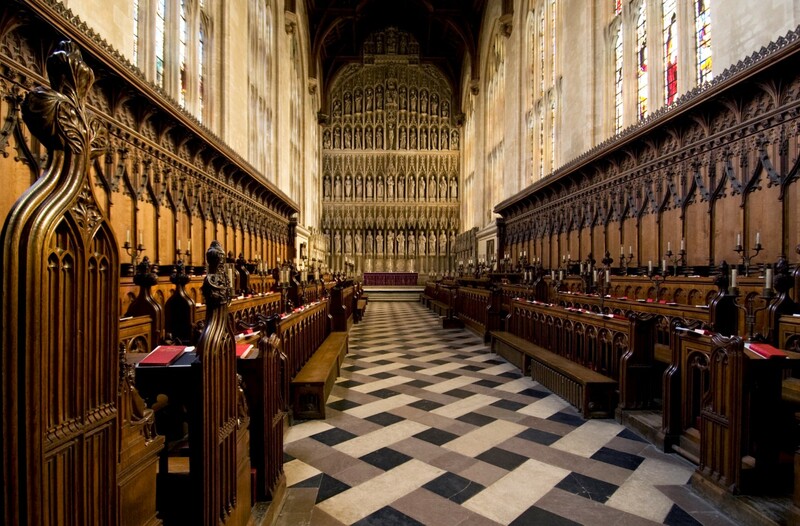 The soaring Ante-Chapel gives access to the Chapel itself, forming a 'T'-shape which subsequently became familiar in Oxford and Cambridge colleges. The spectacular reredos is a very successful recreation of the original; and the medieval stained glass is some of the finest surviving anywhere. The Founder's Crozier is displayed in a case - a masterpiece of medieval silver gilt, enamel and jewels. Jacob Epstein's moving statue of Lazarus stands in the Ante-Chapel. 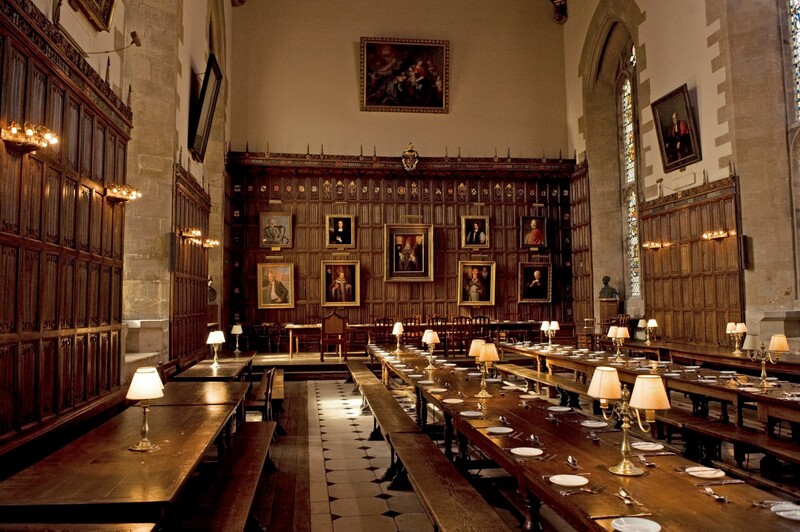 The Hall, magnificently restored in 2015, with the medieval kitchen beneath it, is one of the grandest (and tallest) in Oxford or Cambridge. Its Tudor panelling was given by our old member, Archbishop Warham, in the early 16th century. 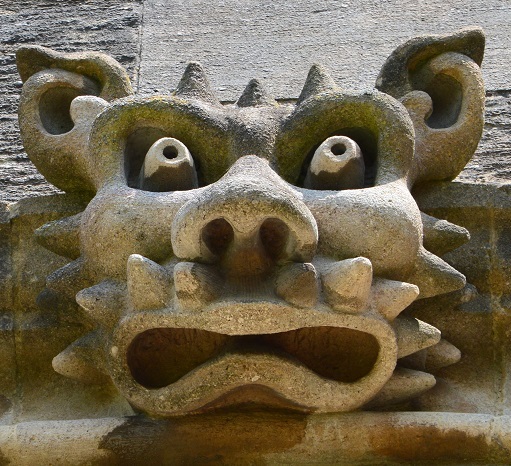 We are famous for our gargoyles, sculpted relatively recently by Michael Groser. By the late 17th century, the College was growing. A new quadrangle, the Garden Quadrangle, was constructed, leading to the gardens, with their famous ornamental mound. The 13th century City Walls enclose the garden and are in immaculate condition. 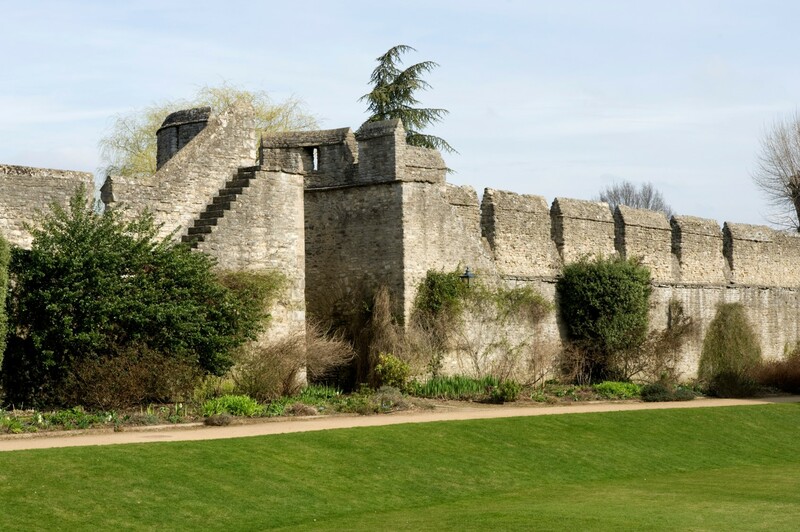 Wykeham's original deal for the land with the City of Oxford has obliged us to maintain them ever since; and the walls are subject to a regular inspection by the Lord Mayor and Councillors. You can see the 2017 inspection here. 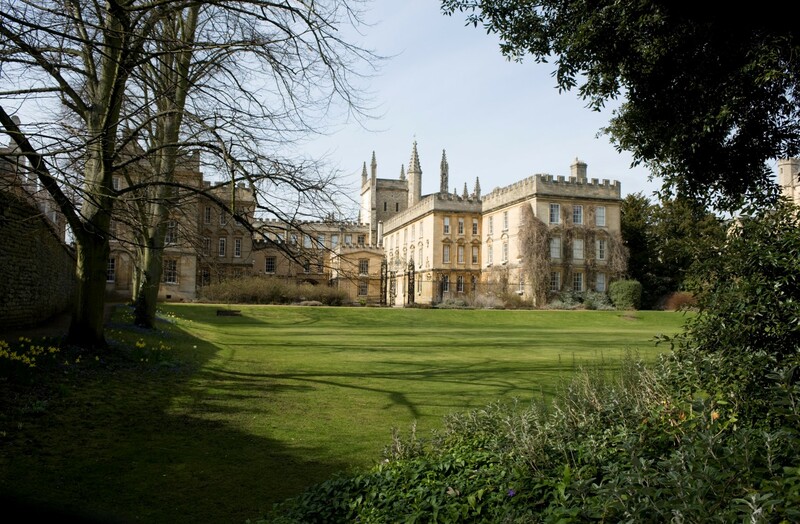 By the 19th century, the College was expanding again, and a major programme of development by two architects, George Gilbert Scott and Basil Champneys, created a large set of buildings along Holywell Street. 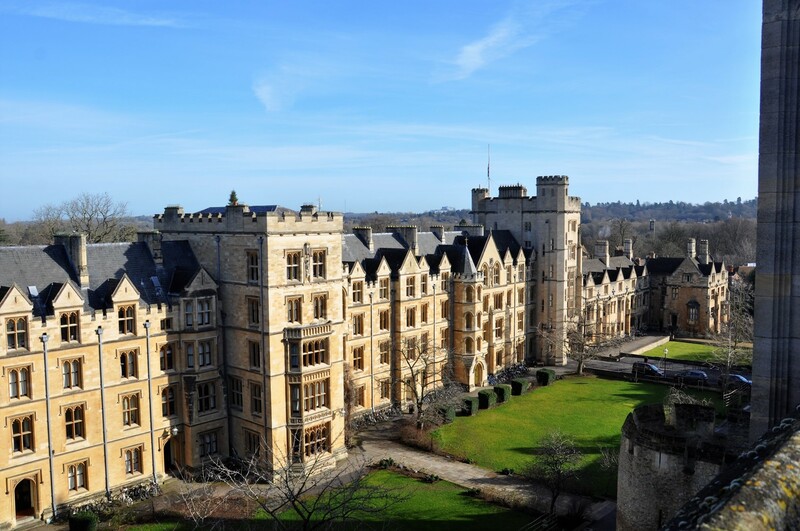 They are dominated by Champney's Robinson Tower (named after a great 19th century Bursar), which now is the main entrance to the College, housing the Porters' Lodge. The College's foray into modernism can be seen in David Robert's 1960s Sacher Building, designed as the first purpose-built graduate accommodation in Oxford. It is splendidly approached through a hole in the City Wall, which frames a fine Barbara Hepworth work.